The Celia Cruz song goes ”La vida es un carnaval” and it is certainly true now in Cartagena de Indias, Colombia. The city is now having their yearly celebration of the city’s independence from Spain. Cartagena was important in this independence as it was the first Colombian city to declare independence from the Spaniards. Even the great liberator Simon Bolivar spent a few years in Cartagena where he, after the fall of the first republic, wrote the Cartagena Manifesto. 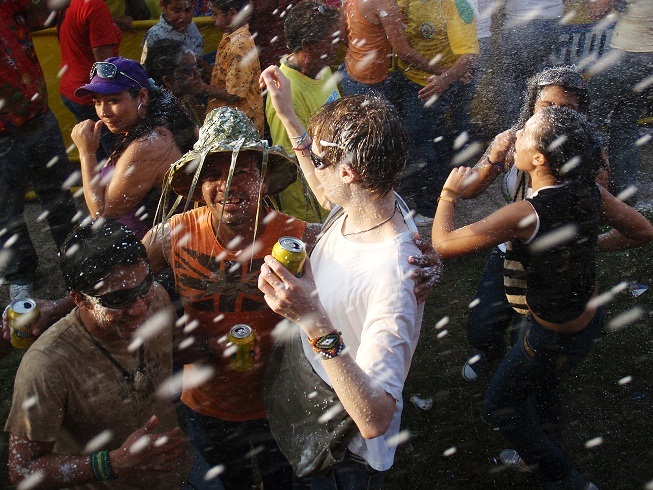 Cartagena has their carnival in November in contrast to the usual carnivals that are held in February around the world. The Cartagena carnival is for Cartagena only and it is a four day festival of parades in the streets and on water. It is a crazy atmosphere in the city and make sure not to wear your finest cloths as you will most certainly be bombarded with water, flour and paint.